The rebound in real estate markets, especially prices of homes in the hardest-hit markets like Miami, has been a top story in 2013. One of the less appreciated bits of news was the passage of a major milestone. 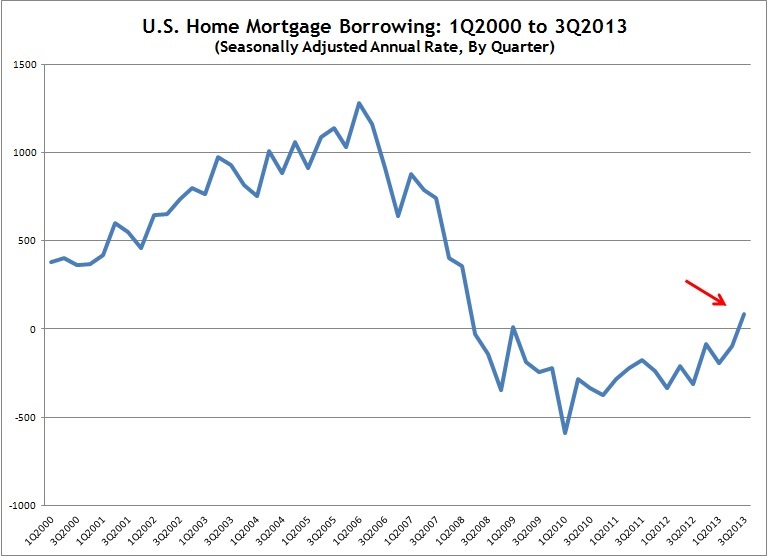 In the third quarter of 2013, the total amount of mortgage debt outstanding recorded its first positive number since 2009 (and really since 2008, because 2009 merely saw one quarter of very slightly positive growth). 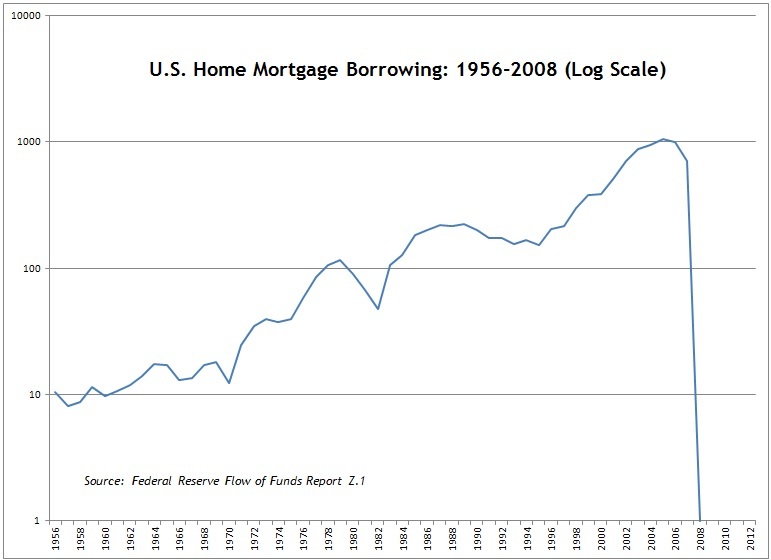 Mortgage debt is the mother’s milk of real-estate prices, so continuation of the uptrend in debt is important to the sustainability of rising prices. 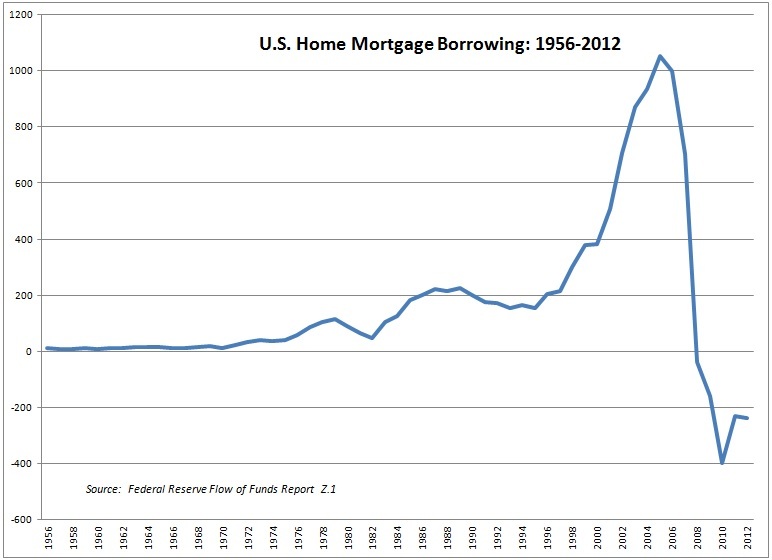 Since the 1950s, mortgage borrowing and home prices had increased without fail, lulling bankers and buyers alike into the ill-fated belief that prices would never fall. 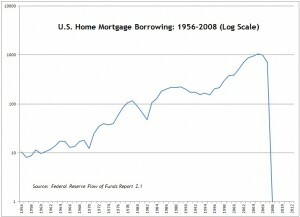 And indeed, when viewed on a logarithmic scale, the explosion in mortgage debt during the bubble might have seemed within reason — in keeping with the constant, long-term destruction of the dollar through inflation. Unlike in the 1970s, however, incomes were not going along for the ride. Without income to service the debt, the end was nigh. Is the current uptrend in debt and prices sustainable? The negative numbers represented not only a lack of borrowing by home buyers, but destruction of bad loans by banks — and banks have worked through a significant portion of the bad loans by now. 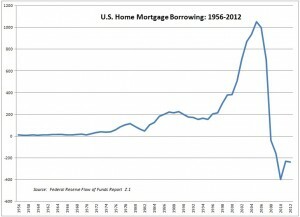 But interest rates have been rising, which creates several risks to continuation of the debt and price uptrends. If 2013’s buyers paid as much as they could (as buyers are wont to do), and rates continue to rise, then there are four possibilities for real-estate prices in 2014: (1) cash buyers sustain current price levels; (2) incomes rise to offset the higher payments; (3) lending standards loosen to allow bigger and riskier loans to the extent incomes don’t rise; or (4) prices fall. Don’t count on the first possibility. Investors have sharply curtailed their purchases in recent months, quite possibly in reaction to the realization that the Fed’s program of interest-rate suppression has reached its limit. It’s hard to rely on the second possibility either. Incomes have been rising modestly, but not enough to keep pace with the rise in interest rates since 2012. The only hope on this score would be that buyers have been uncharacteristically restained in their offers. Considering the number of multiple-offer sales and the number of homes selling at or above asking price, it’s hard to believe that buyers have much in reserve — at least here in the Miami real estate market. 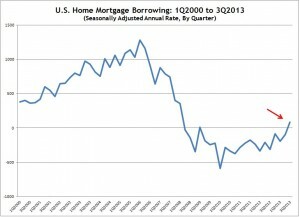 Will lending standards loosen? It’s already happened to some extent, and there may be room for further relaxation. On the other hand, new mortgage-lending regulations take effect in a couple of weeks and are generally expected to have a constrictive effect. As for possibility number 4 . . . presumably nobody will repeat the mistake of thinking that “prices never fall” anytime soon.